Welcome! This is a fairly comprehensive guide to using PubMed at UAB. Please click on the tabs above or the links below to find what you need. PubMed comprises over 23.5 million citations for biomedical literature from MEDLINE, life science journals, in-process citations and online books. PubMed citations and abstracts include the fields of medicine, nursing, dentistry, veterinary medicine, the health care system, and preclinical sciences. PubMed also provides access to additional relevant websites and links to the other NCBI molecular biology resources. Citations may include links to full-text content from PubMed Central, publisher websites, and libraries. PubMed does not include the full text articles. Learn about the differences between Medline, PubMed and PMC here. The 2 minute video below shows starting a keyword PubMed search from the LHL homepage search box and finding the full text article. 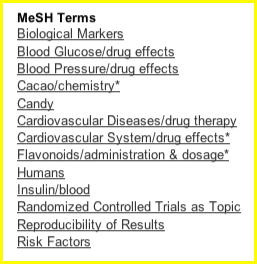 PubMed indexes articles using controlled vocabulary called Medical Subject Headings (MeSH). This enables all articles about a certain subject to be retrieved, even if different terms for the concept are used in the article, such as myocardial infarction or heart attack. Click on "MeSH terms" to display terms. 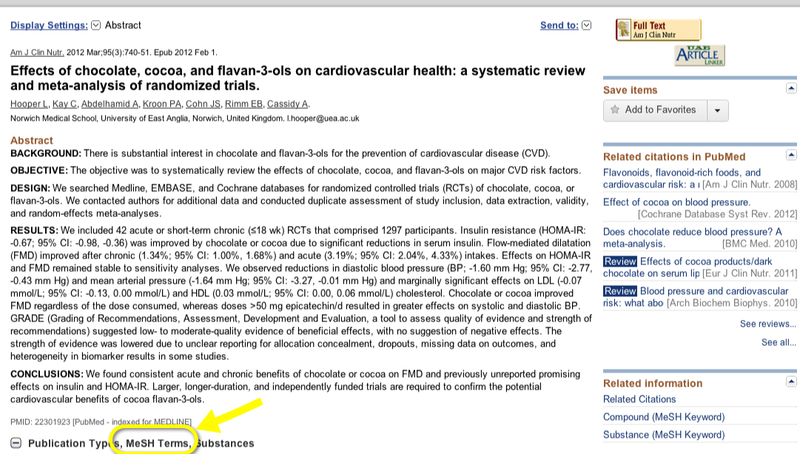 To start searching, just enter your search terms in the PubMed search box. You can check how your search was mapped in the "Details" box on the right dashboard in the result set. Then focus your search. Or, use Advanced search and MeSH search options in PubMed to streamline result sets and build effective search strategies.